Update, 10:05 p.m. Monday: Garlin Gilcrhist II didn't look good on Fox 2 when he avoids answering questions about his home asked by reporter Taryn Asher. The campaign later issued a video in which Gilchrist said that he had addressed all the current issues, including outstanding taxes and securing the property to make sure it's safe. 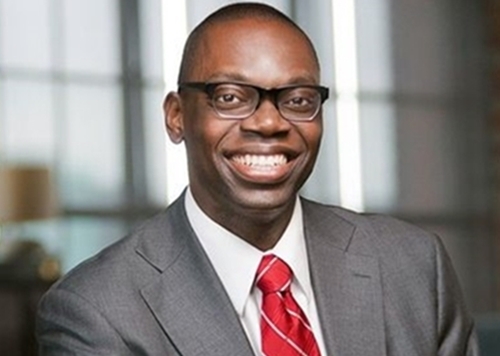 A dilapidated multi-unit Detroit home owned by Garlin Gilchrist II, the Democratic candidate for lieutenant governor, is causing him headaches as the campaign heads into the final stretch. 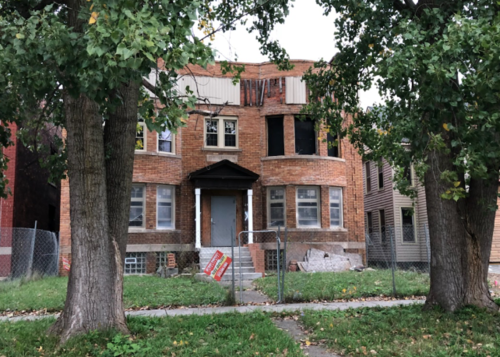 On Friday, a Charlie LeDuff column reported that neighbors are bothered that Gilcrhist hadn't taken action to fix up the blighted home he bought from the Detroit Land Bank in 2016. The city subsequently said it might take away the home if it wasn't fixed up, and on Saturday GOP gubernatorial candidate Bill Schuette demanded Gilchrist step down because of the blighted home. Now The Detroit News reports that he has a history of failing to pay property taxes on time for the structure at 253 Marston St. -- a half a block west of Brush Street between East Euclid and Chandler street. He was forced to clean up this weekend. As of Monday morning, city records showed Gilchrist owed $768.23 in taxes on the property after missing a deadline to pay an initial installment Aug. 15 or pay in full by Aug. 31. The Detroit Treasury Department considered the bill late but would not flag Gilchrist as delinquent unless he failed to pay by Feb. 28. "The taxes will be paid in full as of today," said Zack Pohl, a spokesman for Democratic gubernatorial nominee Gretchen Whitmer's campaign. Less than 20 minutes later, he provided a receipt showing the balance had been paid. Gilchrist was delinquent on his tax bill for the property last year and his case was sent to Wayne County for collections. He paid off $935.18 in late taxes and fees on June 5, according to county records. Whitmer announced him as her running mate Aug. 20.